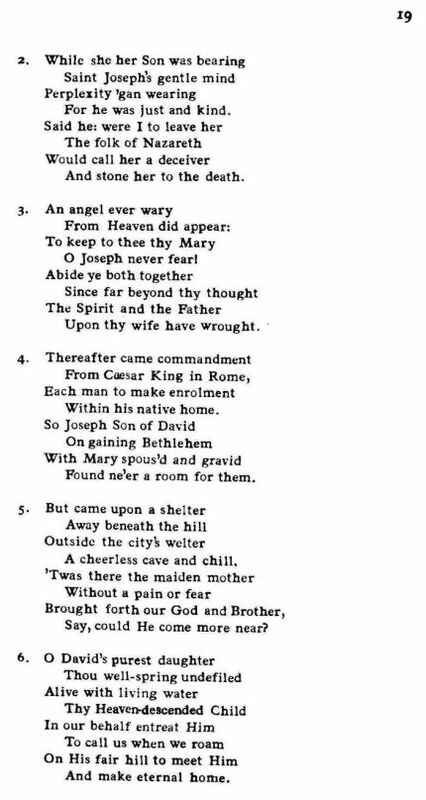 Source: Richard Runciman Terry, Two Hundred Folk Carols (London: Burns Oates & Washbourne Limited, 1933), Carol #120, pp. 18-19. In all a mother's joy. For he was just and kind. And stone her to the death. Upon thy wife have wrought. Found ne'er a room for them. Say, could He come more near? 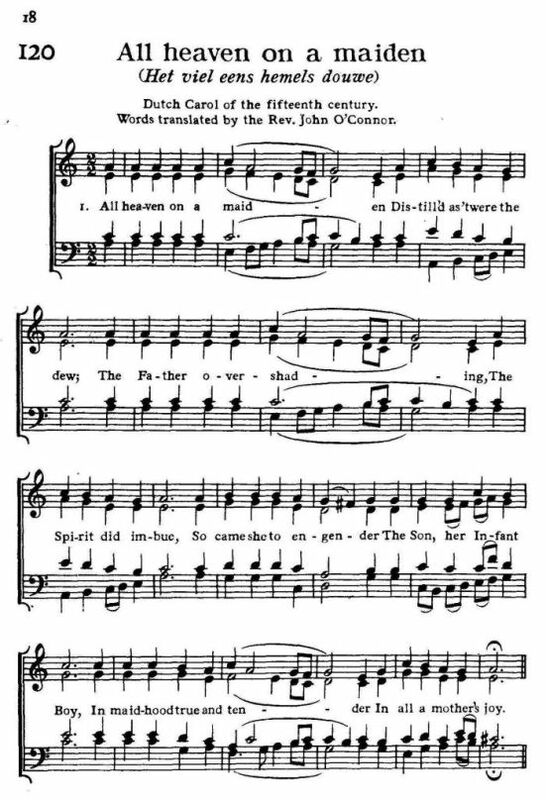 Sheet Music from Richard Runciman Terry, Two Hundred Folk Carols (London: Burns Oates & Washbourne Limited, 1933), Carol #120, pp. 18-19.